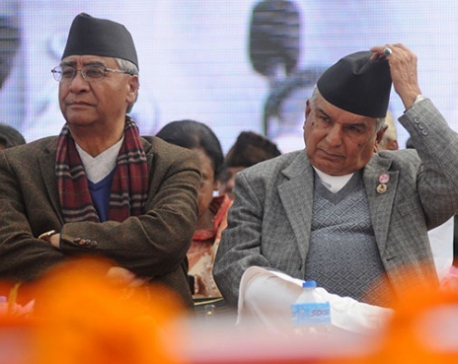 KATHMANDU, Feb 22: Prime Minister KP Sharma Oli's efforts to expand the new cabinet failed to materialize Wednesday amid intraparty wrangling over ministerial berths and delays in allocation of ministries between the partners in the ruling coalition. Oli's plans to give full shape to the three-member cabinet were put on hold after talks between UML and the CPN(Maoist Center) held earlier in the day ended without consensus over the allocation of portfolios. During a meeting held at the prime minister's residence at Baluwatar Wednesday morning, PM Oli and Maoist Chair Dahal had agreed to form an 18-member cabinet. But the meeting ended without agreement on allocation of ministerial portfolios. The two leaders had agreed to induct at least some ministers in the second phase on Thursday. 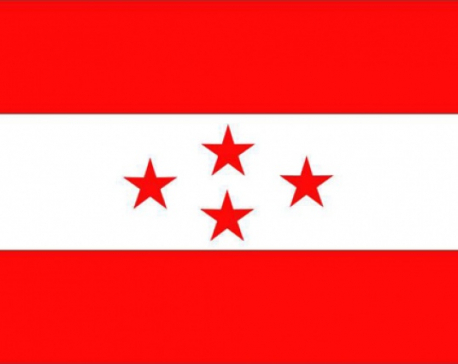 "Badal (Thapa) is certain to lead the party in the government with a deputy prime ministerial portfolios. Other names are yet to be decided," said Matrika Yadav, who is himself likely to be inducted in the cabinet. Other probable faces from Maoist Center include Barshaman Pun, Lekhraj Bhatta and Pampha Bhusal. Chakrapani Khanal, Shakti Basnet, Amik Sherchan, Girirajmani Pokharel and Devendra Paudel are seen as possible contenders for ministerial berths. UML General Secretary Ishwor Pokharel is going to be the second seniormost leader of the ruling party to join the cabinet. Other probable candidates including Bishnu Poudel, Surendra Pandey, Pradeep Gyawali, Yogesh Bhattarai, Rabindra Adhikari, Raghubir Mahaseth, Juli Kumari Mahato, Birodh Khatiwada and Shanta Chaudhary. Both Oli and Dahal are under pressure to keep the selection process open and fair while giving chances to new faces. Addressing leaders at a meeting at his residence Wednesday morning, Dahal said that new and capable faces would be given a chance. "Candidates would be chosen in phases if there is no consensus on all names," a leader present at the meeting quoted Dahal as saying. Oli has also intensified consultations with other senior leaders from his party to finalize the names, but with little success. UML senior leader Madhav Kumar Nepal's demand to ensure half the portfolios assigned to the party to his loyalists has created delays in finalizing names. "Oli ji totally ignored other factions while appointing chief ministers and speakers. 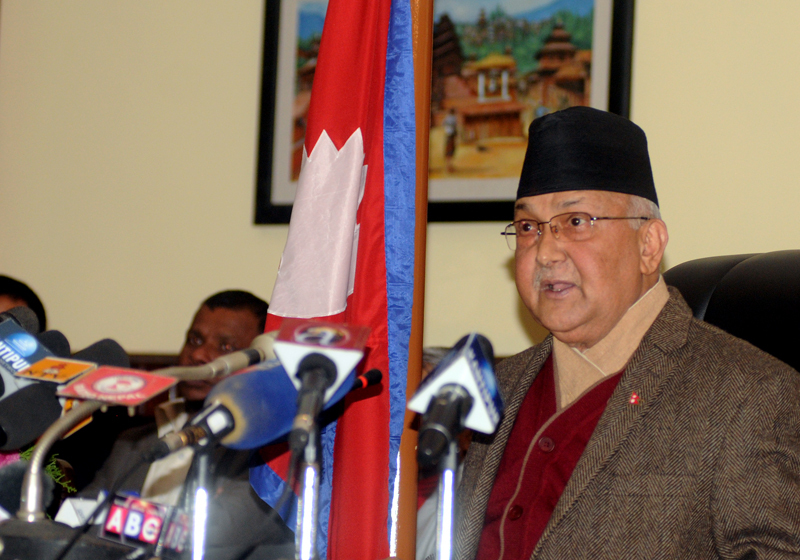 We are telling him to give a fair chance to all factions," said a leader close to Nepal.